It might be easy to find a caffeine pit stop in Paris, France. However, coming across an amazing coffee in an even more amazing city takes some searching. In one of the most beautiful cities in Europe, Café Craft holds its own as a destination for anyone with a craving for superior caffeine and incredible design. 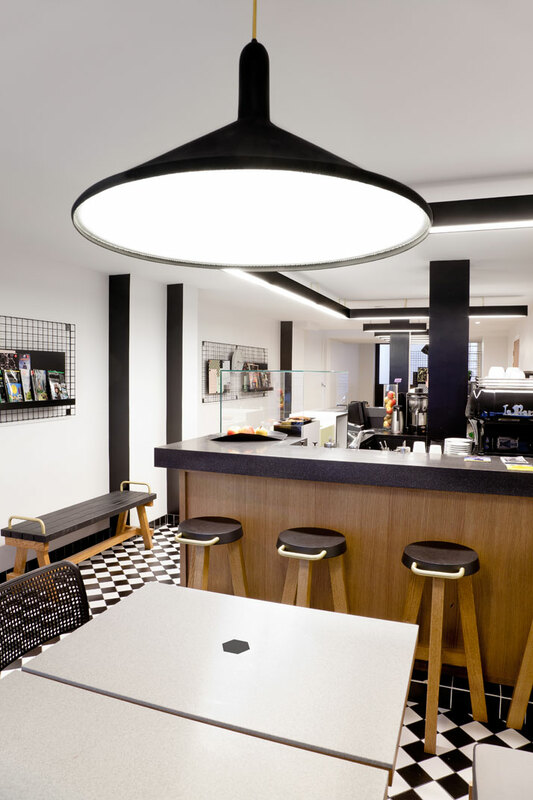 Café Craft was created by five friends as part of the Vital Quartier initiative, supported by SEMAST, which seeks to offer a functional yet beautiful cafe environment - inspired by the urban revival in Brooklyn. 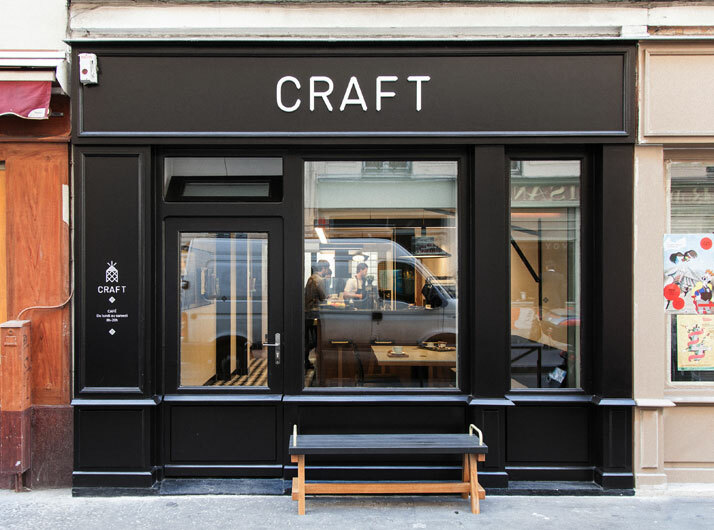 Craft reinterprets the magic of a Parisian neighbourhood cafe and is a wonderful surprise waiting to be stumbled upon, remembered by visitors and revisited by locals and freelancers seeking a calm yet equipped space in which to relax and work. The name itself stems from the idea of offering an invigorating environment in which office-less freelancers can hone their craft in custom comfort. 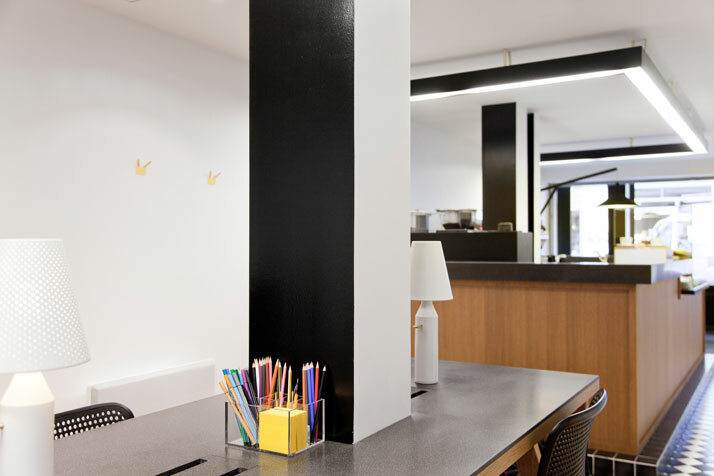 It embraces modern lifestyles and working patterns by offering a space that is a chilled cafe, reading room and place to collaborate or concentrate, all rolled into one. 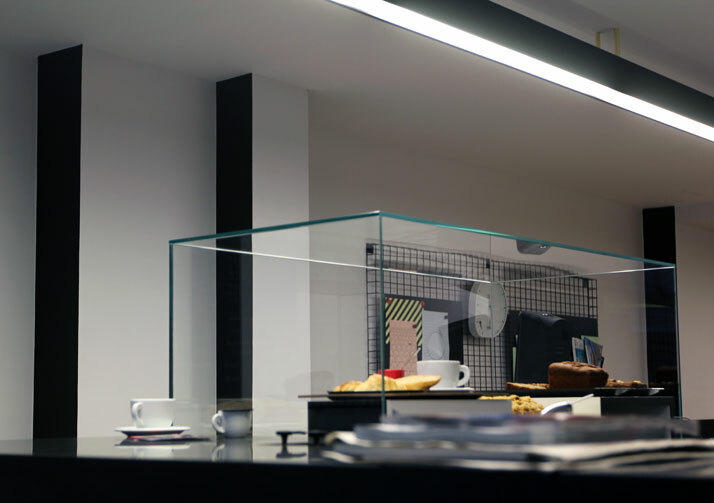 It's a work space and a home space combined, designed around a striking work table equipped with multiple connection points which power the technology that captures the ideas and inspiration harboured in such a refreshing environment. 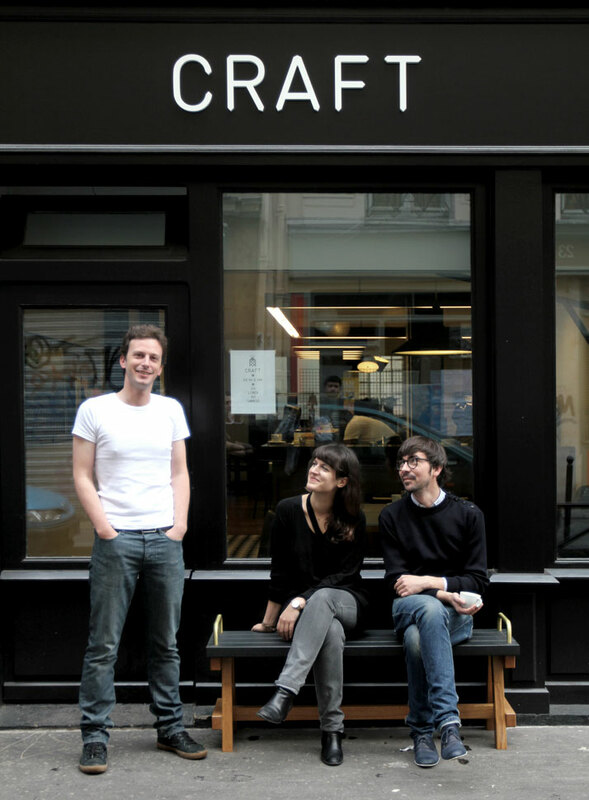 One of the five friends behind Craft, Augustin Blanchard brought an American dream from New York to Paris, two cities where coffee shops are intrinsic and cocooning environments within which ideas stem, the mind and body are stimulated and people both relax and work, all within a busy cityscape. 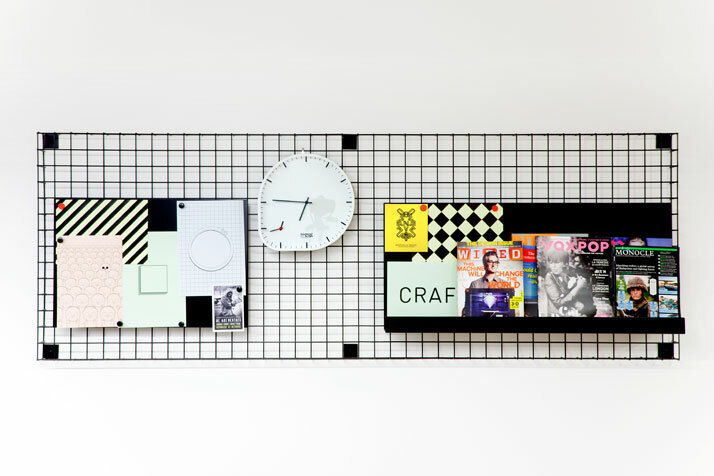 At Craft ideas become a reality through its incredible design by POOL, a young studio founded in 2010 by Léa Padovani and Sébastien Kieffer. The design is undeniably bold, with prominent architectural lines, a strong monochrome palette and industrial materials throughout. The overall feel is graphic and strong but with traditional elements. 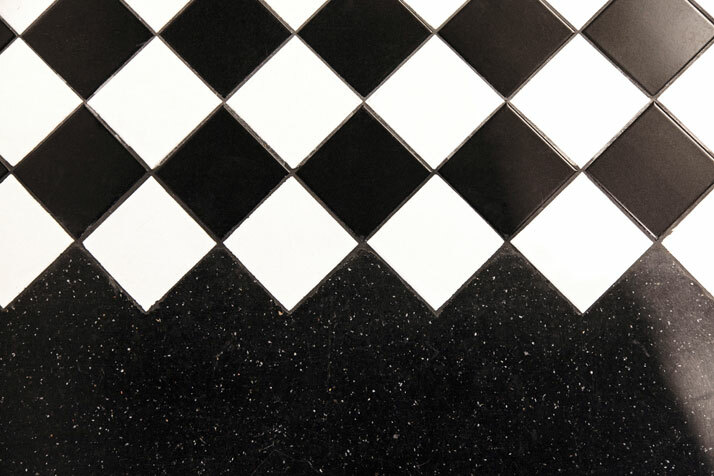 The resilient Terrazzo floor, is met by parquet and checkered tiles reminiscent of Haussmann Styled Parisian apartments. 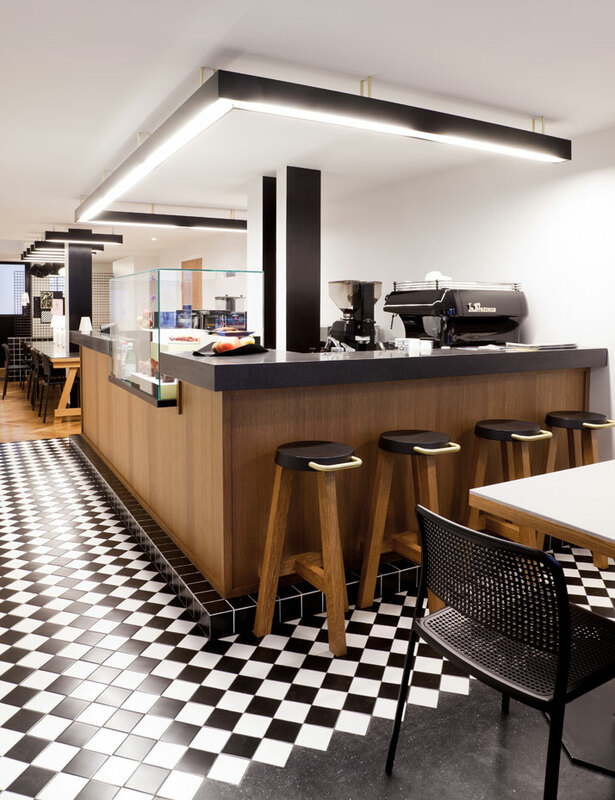 The fresh overall feel is softened by functional and homely touches such as furniture that includes strong pinned wooden stools that can be moved around by large brass handles, bold and functional Vulcan lighting, benches that have been fabricated for comfort and mismatched tables and ferns, all maintaining the spirit of cafe culture. 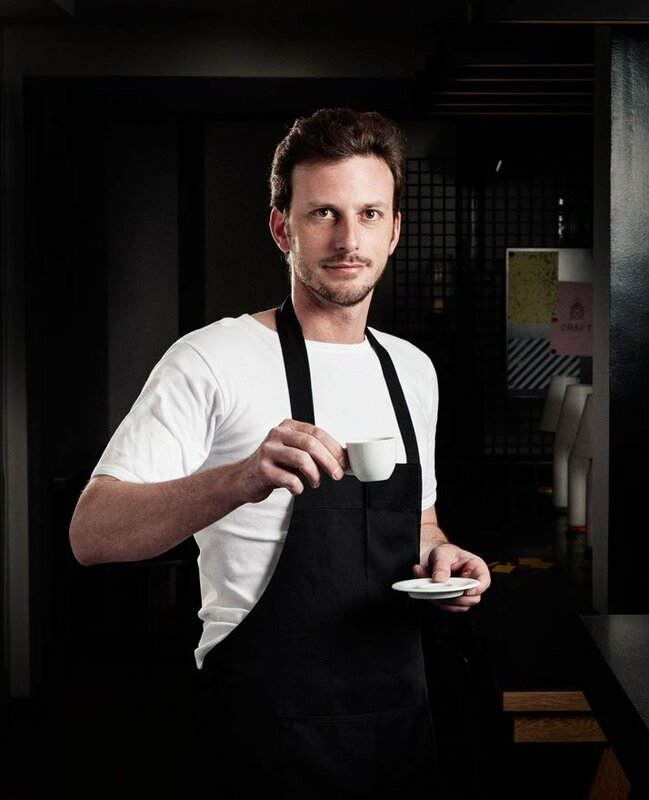 Craft is the evolution of café culture for a modern age. 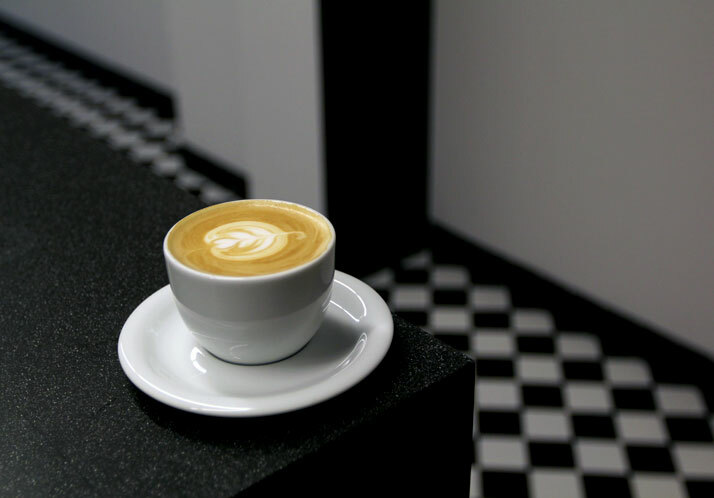 It's a work space, a homely place to relax, and a sociable space to mingle and is set to become an institution; a place where the buzz isn’t just about the extraordinary coffee.